So, you know that Whole Foods is packed with yummy, good-for-you food, but did you know that you can get some amazing beauty products there? Case and point: Illuminating Beauty Balm SPF 9. I’ve tended to stay away for BB creams, because no matter how many of them I’ve tried nothing really seem to match my skin perfectly. I also don’t feel like most BB creams live up to the hype – I am able to get a flawless look from the same tinted moisturizer I’ve been using since the 10th grade. 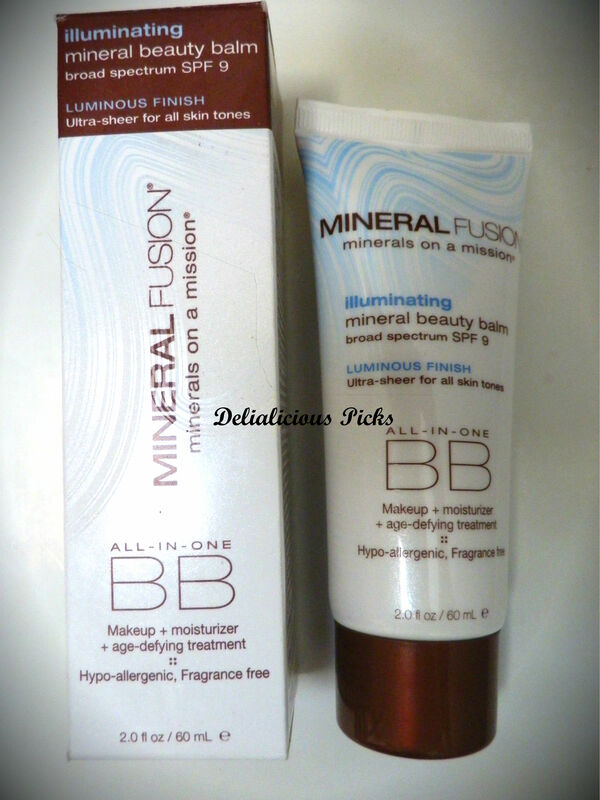 So, I was pleasantly surprised when I stumbled upon Mineral Fusion’s Illuminating Beauty Balm, a hypo-allergenic, fragrance free all-in-one BB cream. The product comes in one universal shade that matches all skin tones. At first, I didn’t believe this product stood a chance in matching my olive complexion when I saw the light beige color emerge from the tube, but when I put it on, it blended in seamlessly and felt weightless. My large pores were masked, my skin tone was even, and I was glowing. Although it is a BB cream, the coverage seems more like a light foundation, as it literally provided me with a flawless complexion. The BB cream is formulated with skin-soothing aloe and nourishing botanicals to provide long-lasting hydration, and also includes a unique mineral-peptide blend and natural anti-oxidants to promote younger looking skin. It also contains SPF to protect against the sun’s harmful rays. What is it: All-in-one: Makeup + moisturizer + age-defying treatment + sun protection. Cost: $24.99 at mineralfusion.com or Whole Foods.